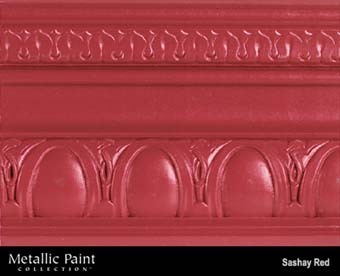 Paint Colors :: MANUFACTURERS :: MODERN MASTERS :: Metallic Paint Collection :: MODERN MASTERS METALLIC PAINT 99832 ME-513 SASHAY RED SIZE:6 OZ. HAMMERITE 42240 SPRAY PAINT GLOSS BLACK SMOOTH SIZE:12 OZ. SPRAY. WOOSTER J4102 SUPER PRO BADGER FLAT SASH PAINT BRUSH SIZE:3" PACK:6 PCS.